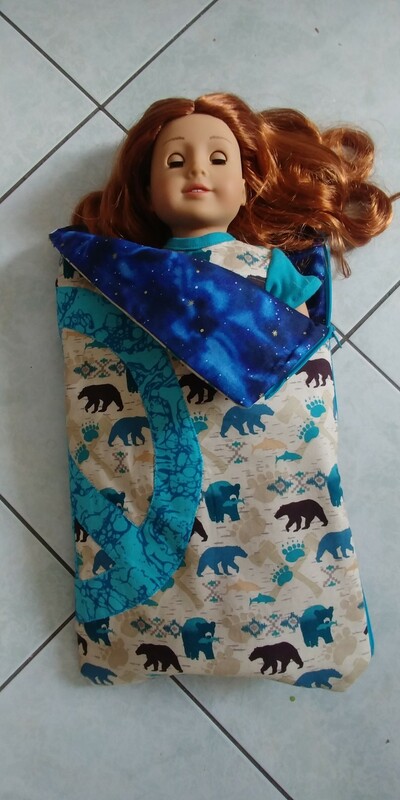 Now your 18" doll can get comfy and cozy in her very own peace sign sleeping bag! This PDF sewing pattern includes the applique design shown and instructions showing how to apply it. Skill Level: This is an intermediate level sewing pattern because of the steps involved in doing the applique and inserting the zipper. But if you understand how to do this, it’s an easy pattern to sew. This pattern was simple and easy to construct. I did find that some of the instructions could have been more detailed for someone with little sewing experience. The illustrations did not really demonstrate the finishing of the lower corners well. After studying the photo I eventually figured it out. I couldn't find a separating zipper and decided to use a regular 14" zipper. This worked fine although finishing the step to attach the lining took a bit of hand-sewing. 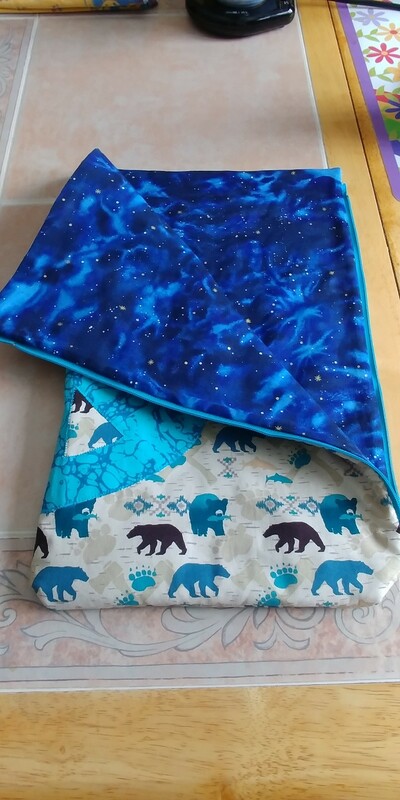 The sleeping bag went together quickly and the finished product is so cute. Love this pattern. Easy to make. instructions are pretty vague concerning which side is top/bottom and which is the side. Not sure why it calls for a separating zipper (more expensive) than just a regular zipper. 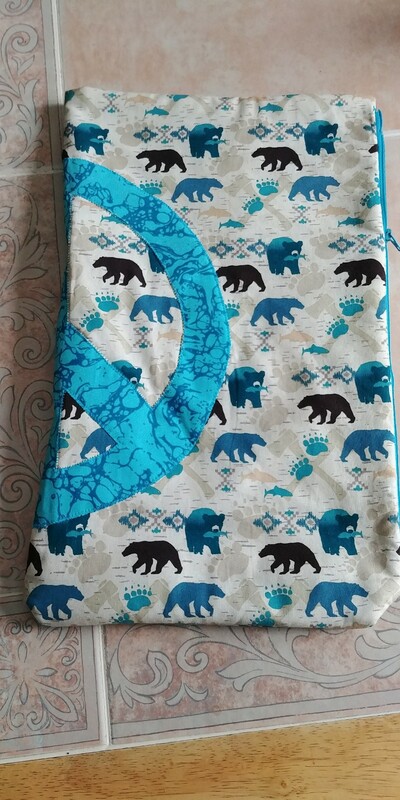 This is one pattern that missed the mark and was not worth the cost. This pattern was easy to sew, but the instructions could be a little clearer. For example simply stating the measurements in width and height on the rectangle would be nice. Very easy to make with great instruction and turned out so cute.